Running an Auto Transport Company? Accept incoming leads from your own Website Quote Form, Lead provider or another source, process and assign leads to a salesperson. Automated Acknowledgment Email to your auto broker customers with multiple templates. Send out Quotes using multiple customized Templates. Customer Quote Acceptance and Order Details Completion flow. Automatic Quote and follow up reminders. Automation to convert Quote to an a New Order uppon customer acceptance. Convert quotes to Orders with 1 click, Smart Order Status Management, Secure Order Tracking Access and Update Notifications for your customers. 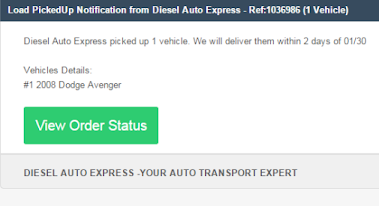 Dispatch a job to any carrier, Share the Job with several local carriers at once, Find auto carriers in specific region, Make the Load Available to a carrier working a specific lane and more. Power and flexibility allows for endless possibilities. New Auto Carriers will join your network with ease, vetting for document, insurance and other requirements completion. Spend 0 minutes of time, enable your carriers to request and self-dispatch orders, 24/7 365 days a year. Communicate with your customers like never before. Store Customer information, notes, instructions, preferences and order history. Categorize and Tag your customers for easy targetting and outreach. Want greater visibility into your business? CarshipIO lets you view and analyze trends based on your data to boost performance and growth. See work history on delivery dates for carriers, Order history from your customers, Revenue and Profit Reports, Salesperson performance analytics, Complete Status Workflow Overiew.